Jim broadcasts on national, regional and local TV and radio. He has a regular slot reviewing the papers on BBC Radio Manchester’s Breakfast Show. Jim is a committee member of the Royal Television Society North West. 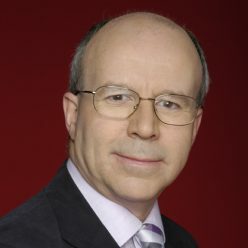 He has hosted evenings for the RTS with top political journalists Nick Robinson, Kirsty Wark and Michael Crick. Jim is available for work with clients on promotional DVDs etc. Please get in touch to discuss your requirements.